It’s no easy feat to cook up the perfect Witches Brew. Many of you will never master the exact art of creating the delicate concoction of flavours. It takes skill, finesse and just a dash of magic to create. 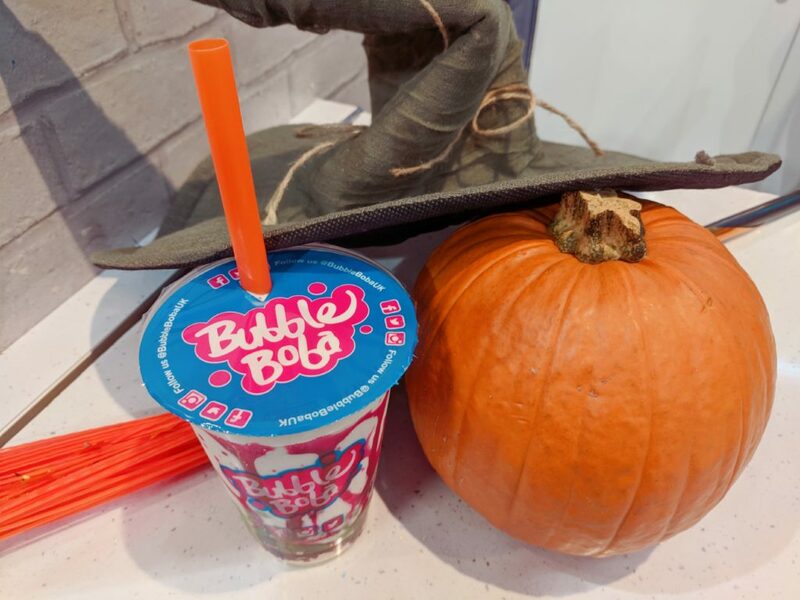 That is why this witch took a trip to Bubble Boba Coventry, to get some tips from the master creators this Halloween! Get your grimoires at the ready and start taking notes, witches and warlocks! 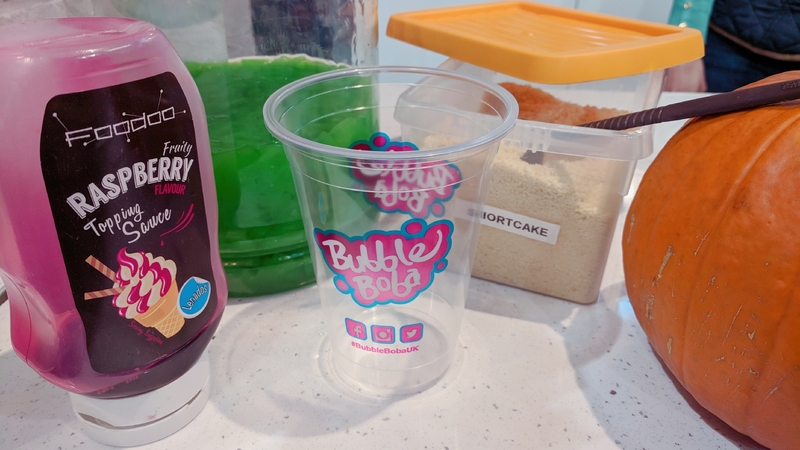 This post features sponsored content from Bubble Boba UK – Coventry’s Bubble tea shop at FarGo Village. Firstly, take your vampire’s blood – if you don’t have this available you can substitute for raspberry sauce – and drizzle it gruesomely across the inside of the vessel. The key to making this potion work, is perfectionism! Next scoop in your oak ashes, making sure to coat the bottom of your potion vial, and then thank Mother Earth for her kind contribution. Then, take a big deep breath and pour in your jellied newt tails on top. 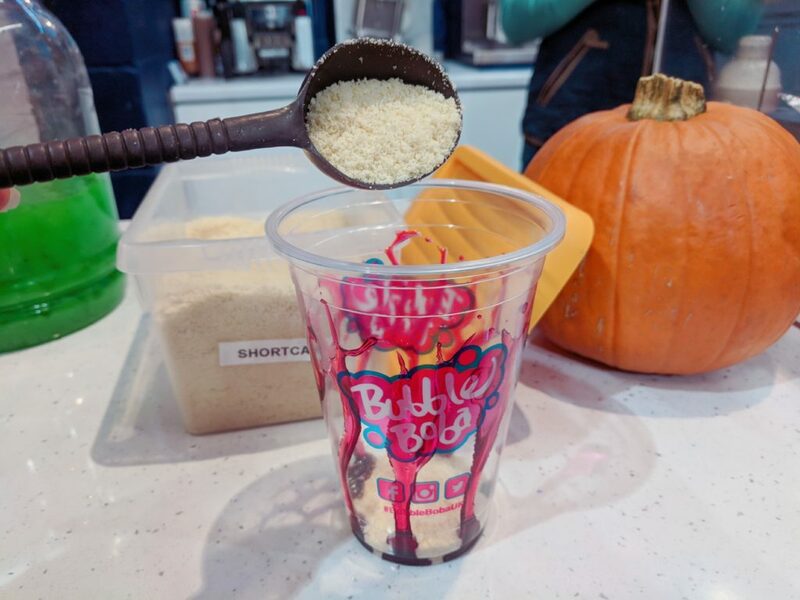 For a nicer tasting potion, you could use shortcake crumbs and apple jellies, of course. 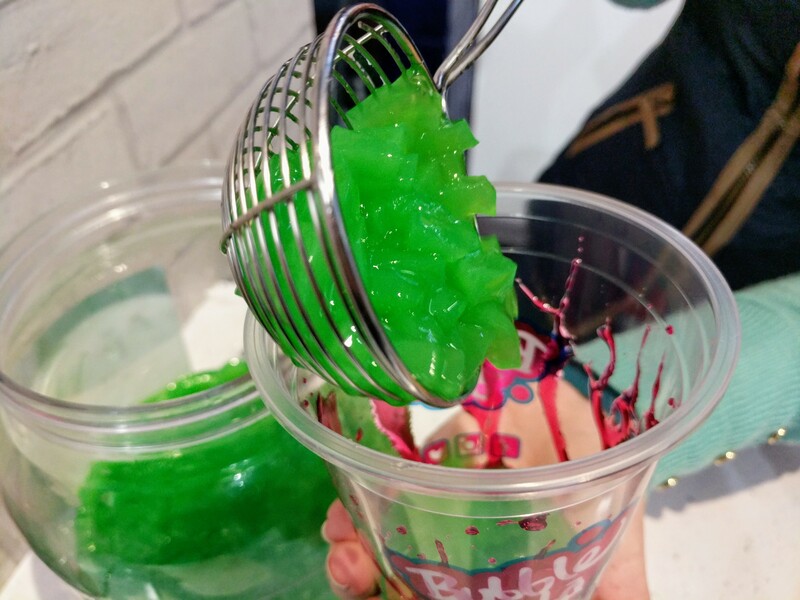 The next is to dramatically pour in your ghostly ectoplasm with a flourish, but if you find that ectoplasm is a bit thick, you can always use a red apple flavour thin-shake, specially brewed by the Bubble Boba* team! 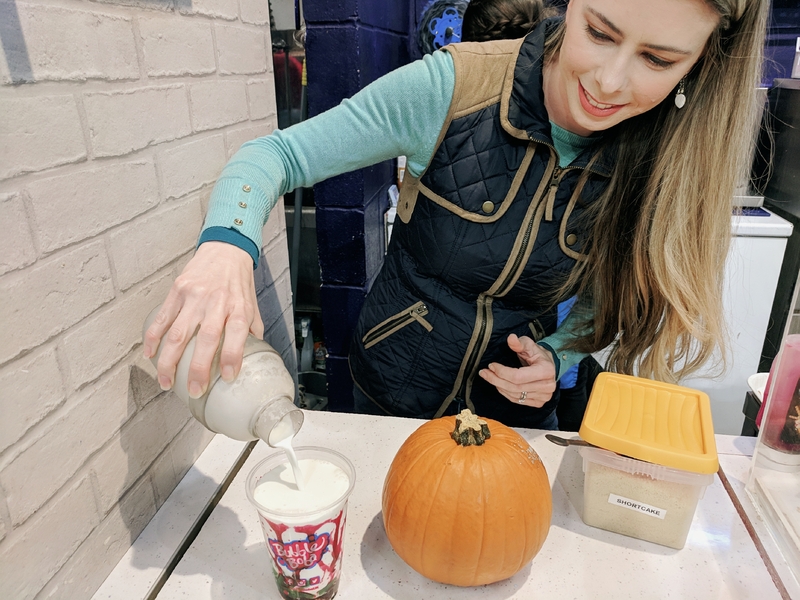 So just to recap, if you don’t have any of the ingredients available you can always use raspberry sauce, green apple jelly pieces, shortcake crumbs and milkshake! Of course, you can always trust the potion-masters to make it for you! 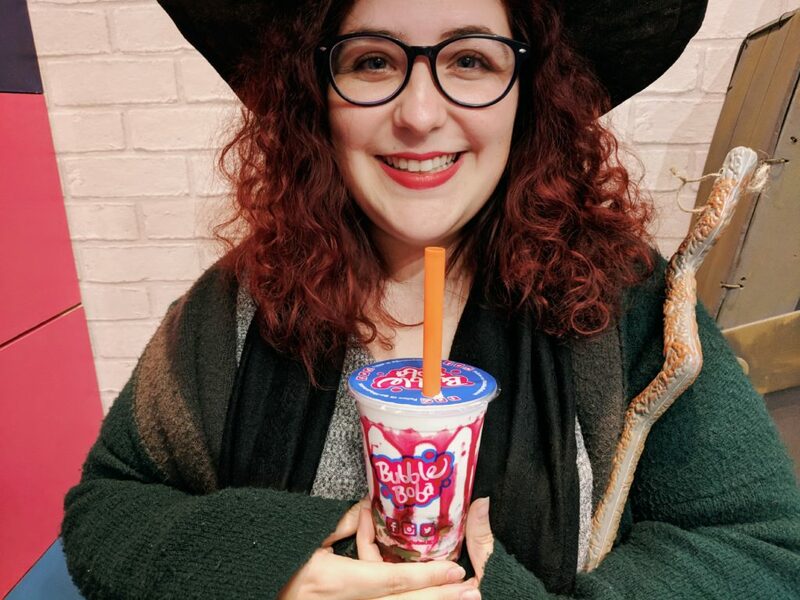 It was so much fun to work with Bubble Boba*, and I am so glad I could help to promote them after being a regular customer since the shop opened! I am yet to find a flavour of bubble tea I don’t like, and they can cater their drinks to you completely. 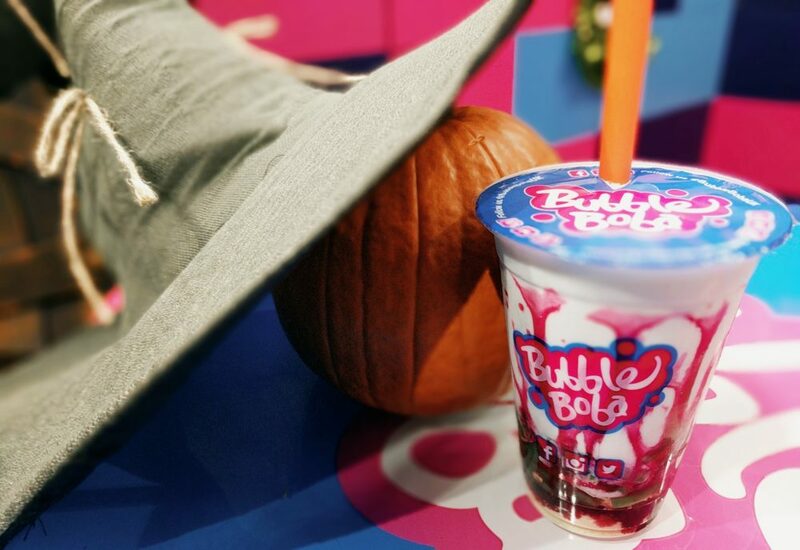 So if you’ve never tried bubble tea before, give it a go – it’ll put a spell on you that you won’t be able to resist! Go and try it, if you dare! Ooo this sounds really yummy! 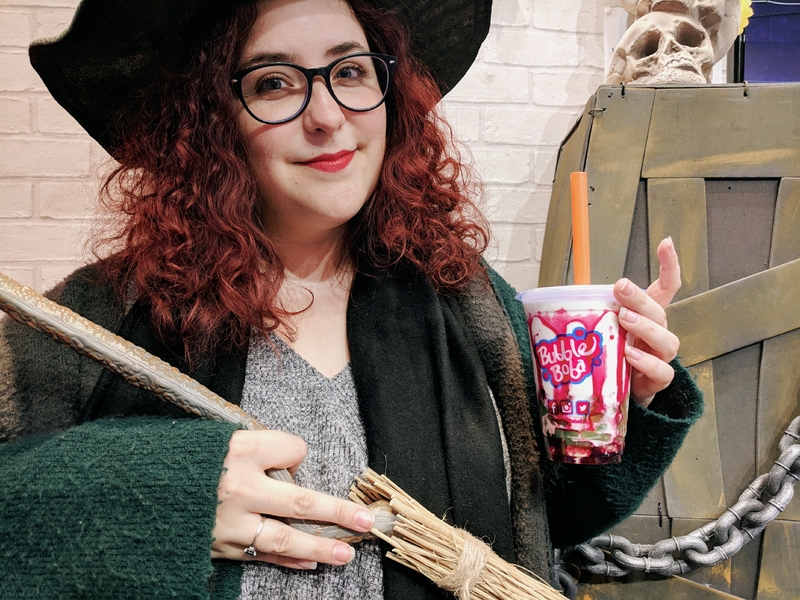 😀 I love that Bubble Boba are doing Halloween themed drinks. 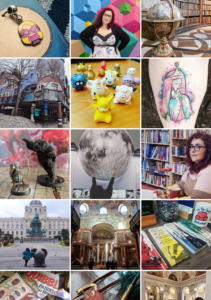 I don’t feel like any other bubble tea places do that… At least not in Coventry/Birmingham. I wish I liked Boba tea!